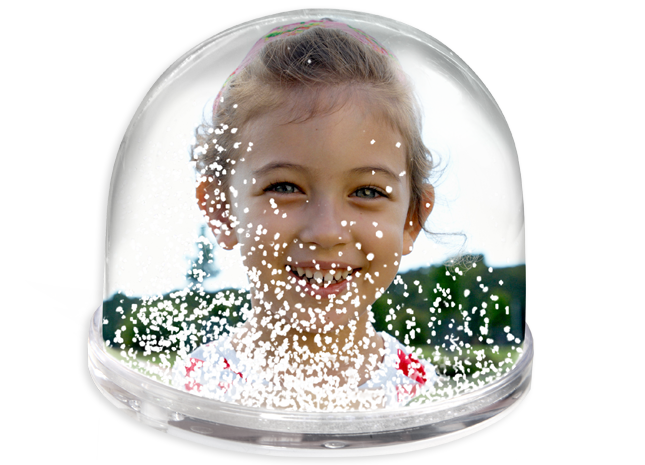 The snow globe with your fabulous photo! Every tourist is familiar with this timeless gift item from the world’s great sights. 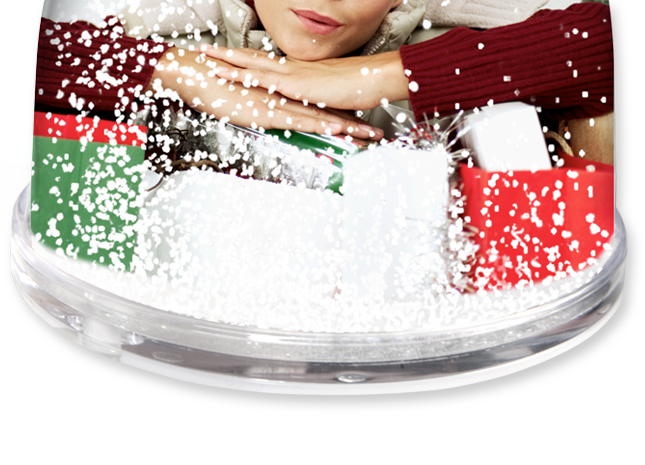 Now you can have the snowflakes float gently down in front of your personal favourite photo. 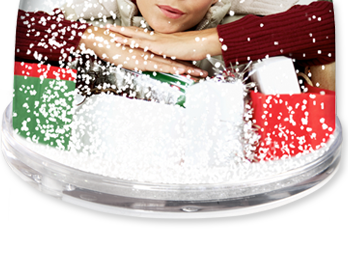 The photo is supplied separately. 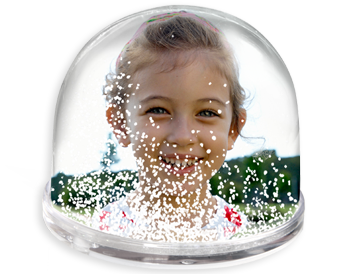 Simply cut in a semi-circle along the dotted line and it can be inserted into the snow globe in an instant!